"Your time will be gauged along with a rating of one to ten on your style, which will be judged solely by me and my vast expertise of skiing technique." I got into a discussion last night with some people online about the movie To Live and Die in LA with William Peterson (now better known for his run on CSI). Directed by William Friedkin, it has a heavy Michael Mann feel to it, and while this film is not very well know it is a very, very good crime drama. TLADILA is one of those stories that doesn't go anywhere you expect but has a very satisfying and reasonable story arc, and was very well acted and shot. It has some of the most shocking and amazing sequences and events I've ever seen in a movie, and introduced me (and millions of others) to bunji jumping before it was really known anywhere. Evidently, the film makers brought in a convicted counterfeiter as a consultant and actually made counterfeit money, some of which evidently got into circulation and the treasury department picked it up. But it got me thinking about other underrated films, classics that people missed and really ought to see. Like The Hidden, a 1987 sci fi gem featuring a young Claudia Christian (from Babylon 5) as a stripper turned alien death machine. This is a film that was very low budget but worked very well probably in part because it didn't have a large budget. Kyle MacLachlan starred in it, a very early role for the block of wood. Better Off Dead is such a favorite I forget a lot of people have never even heard of this film. Its one of the best teen comedies of all times, and while its pretty 80s dated it still holds up for raw humor. John Cusack was at his best in this kind of role, and the whole film is just a bundle of surreal events and absolute hilarity. Trivia in this movie: Lane's mom is played by Kim Darby, the girl from True Grit! The Long Kiss Goodnight was a very solid, interesting action movie (and used the "my spouse is a spy??" bit before True Lies) but never got much attention largely because the previous Geena Davis attempt was the godawful pirate movie Cutthroat Island. When that terrible, budget busting disaster bombed, people just figured this movie would be more of the same, which is too bad. Don't Be a Menace to South Central While Drinking Your Juice in the Hood is certainly in the running for the longest title contest in film history, but its also one of the funniest movies I've ever seen. Done before the Wayans brothers totally lost their way, this spoofs every "hard hitting inner city" gang movie ever made, and in the process actually has better and more effective social commentary than the serious films ever did. Often crude and foul, but always hilarious, this film was a great time. Ang Lee's Hulk gets a lot of grief for the CGI dogs, which I agree were pretty weak. But the overall film was very powerful, and the slow reveal of Bruce Banner's pain was incredibly well crafted storytelling. Nick Nolte steals the film as the amoral, demented scientist father who ends up a cross between the Absorbing Man and Zaxx and the Hulk does some amazing Hulky stuff. Its a lot better than people say, but the problem is they got a thoughtful story rather than Hulk smashing, so they were disappointed by expectations. Last Action Hero is starting to get some second looks, because after all this time people can finally detatch from what they expected from Arnold and what they got. Its a hilarious send up of Arnie's earlier over-the-top action films with touching and thoughtful themes that are actually quite well handled. Its just a ton of fun and I could never figure out the hate it received. 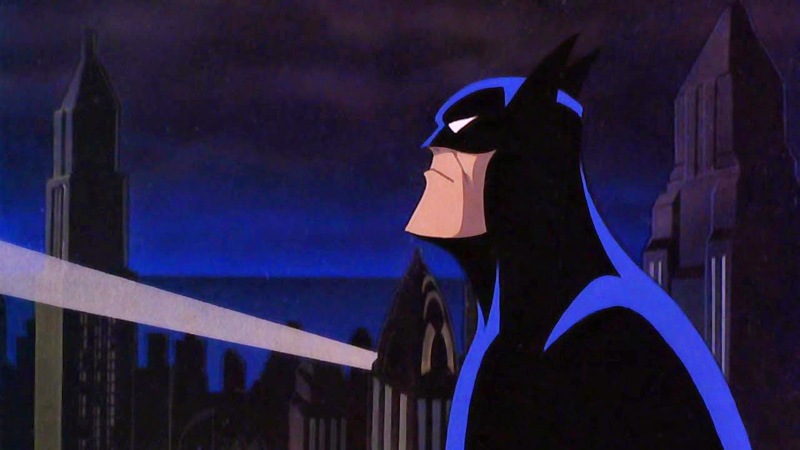 The Batman Adventures animated series surprised everyone with how well done, interesting, and well-crafted it was. This style of animation has spawned a whole industry of comics, games, TV shows and more. And one thing that came out of it was a series of films that didn't get nearly the attention they deserved Batman: Mask of the Phantasm was one such film, a terrific moody and emotional piece that explored an unknown part of Bruce Wayne and Gotham City's past (lets just say Batman wasn't Gotham City's first masked vigilante). Blood Simple was the Coen Brothers' first film together and its an independent classic but little known to non film buffs. Its a great noire film with terrific performances from some major but lesser known talents. A dark, bloody film of crime gone wrong and the efforts to break out of it, this is classic Coen Brothers writing done on a shoestring budget. There was a horror film put out in the late 80s with the usual brat pack suspects called Flatliners that got a lot of attention but had a pretty weak story. It was a decent film but not nearly as good as a film that came out about the same taime called Jacob's Ladder which scared the crap out of me. 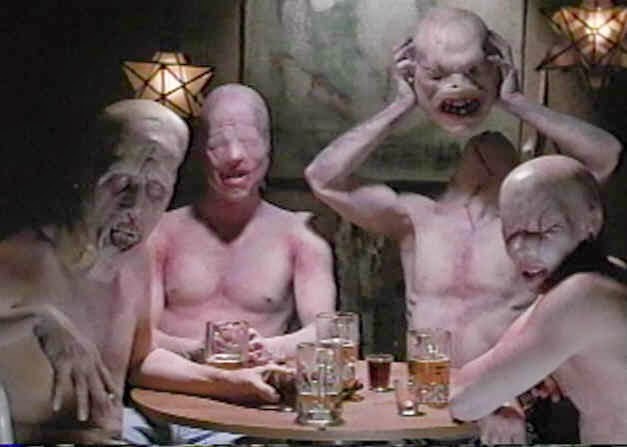 The overall film is as confusing as it needs to be with shockingly dark and frightening imagery as someone tries to figure out what the hell is going on, almost literally. I won't give away what is actually happening because in part that's never 100% clear but its a great, spooky film. Of course, I haven't seen this since Tim Robbins lost his mind during the Bush administration and became so indelibly obnoxious, so perhaps it might not be as enjoyable now. The Tailor of Panama is a spy movie Pierce Brosnan made while making Bond movies which is a pretty amazing boldness on his part. Its also a little-known film that was very well done and was largely ignored by the public. A much more realistic and well-crafted story about spying than the Bond films, and a great example of how good an actor Brosnan really is, but gets little credit for. Kiss Kiss Bang Bang is a film everyone should see. Just about the first movie Robert Downey jr made after he turned his life around, and the last movie Val Kilmer did before he put on the weight and stopped caring about being a matinee idol, its a hilarious but gripping detective movie. It doesn't go the way you expect it to, and Downey plays very much against type but does an amazing job of it in the process. Another lost gem was the movie Drive with Ryan Gosling in one of the most underplayed, understated performances ever. Its such a quiet, almost soothing movie with real excitement in it that it kind of defies category or explanation. You just have to watch it to see. I think again this film confused viewers by being thoughtful and emotionally compelling rather than exciting violence and Fast & Furious driving. And finally Alien3 which was a much better film than people came away thinking, but it was simply hated by critics and a lot of viewers. I think the problem is that they went into it expecting Aliens part two and got an atmospheric tragedy instead. Again a victim of mistaken expectations, this was a really enjoyable film and it showed how the basic concept of the predatory alien could be done in so many different ways, like a film school experiment. I looked at some lists of underrated movies in the past and kept running into films that I remember being very well received and praised, such as Open Range, Miller's Crossing, and Copland, so its tough to decide what really belongs on a list like this or not. I'm sure commenters have a few thoughts on the matter as well. I have only seen a couple on your list. I know I am confusing Blood Simple and Miller's Crossing, but I liked them both. I really enjoyed Last Action Hero. Walter Hill's "Last Man Standing" with Bruce Willis. This was a box office bomb. It's "A Fistful of Dollars" done by Walter Hill. It's dark, but it's well done, and it has Christopher Walken as the main adversary. Another Walter Hill film that I reviewed recently is "Southern Comfort". It's similar to "Deliverance" in some ways. It has Powers Boothe, Keith Carradine, Fred Ward, and Peter Coyote. It's a Vietnam allegory with Cajuns, and a great Ry Cooder acoustic soundtrack. And, since I'm gotten on a Walter Hill streak, I might as well continue with "The Driver" -- Ryan O'Neal versus Bruce Dern. It's not a bad movie, and it got trashed. Hill's a good writer and a good director. Maybe it's just that I "get" his style or something. Last Man Standing is the third remake of Dashiell Hammett's Red Harvest. Some day I hope someone does a faithful version of that book.